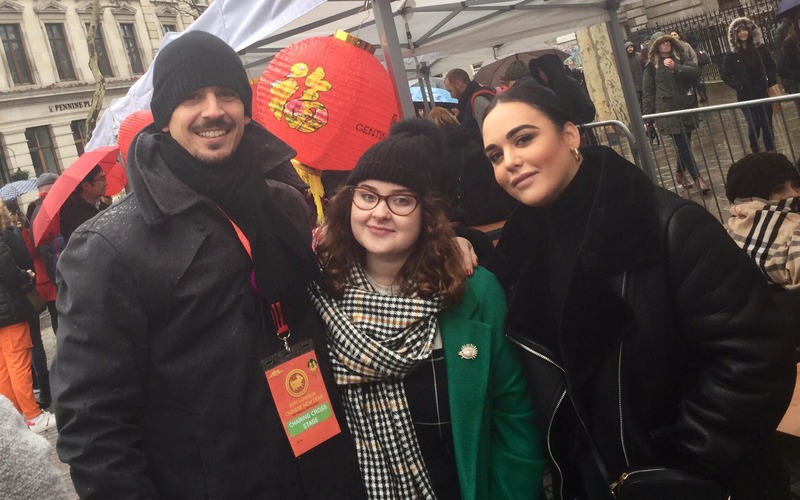 A Middlesex student played the crucial role of co-ordinating 200 volunteers for London's celebrations to welcome the Year of the Pig. 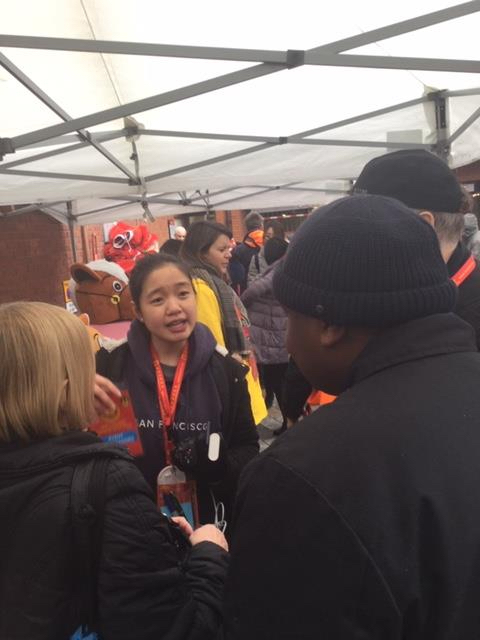 Juo Chee Koo, a third year BA Music Business and Arts Management student had the task of recruiting volunteers, assigning them to teams and organising their training, and ran Volunteer Central on festival day, Sunday 10th February. This mammoth undertaking will form part of the Major Project module for her course. In addition, 19 other MDX students volunteered on the day in different capacities across the festival area. 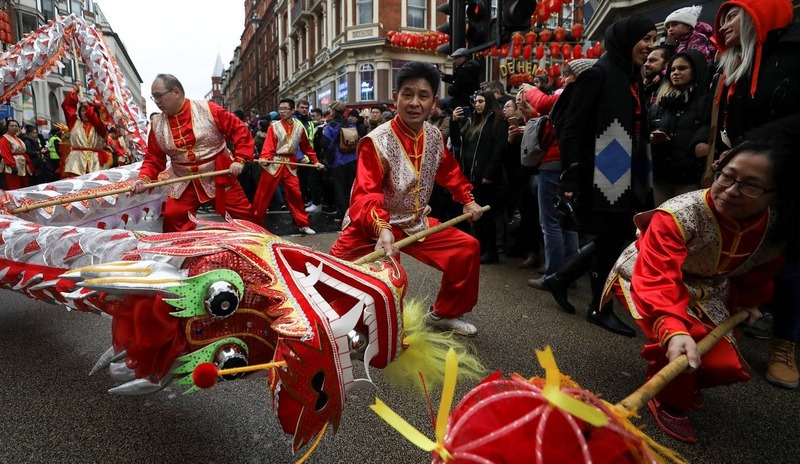 Chinese New Year attracts some 250,000 visitors each year to Chinatown and Trafalgar Square to watch the parade, Lion and Dragon Dances and other performances, eat street food and try out Chinese crafts. Once an informally-organised community celebration, it has grown into the West End's biggest annual event after Pride with an endorsement from the Prime Minister and support from the Greater London Authority, but remains mostly volunteer-run. 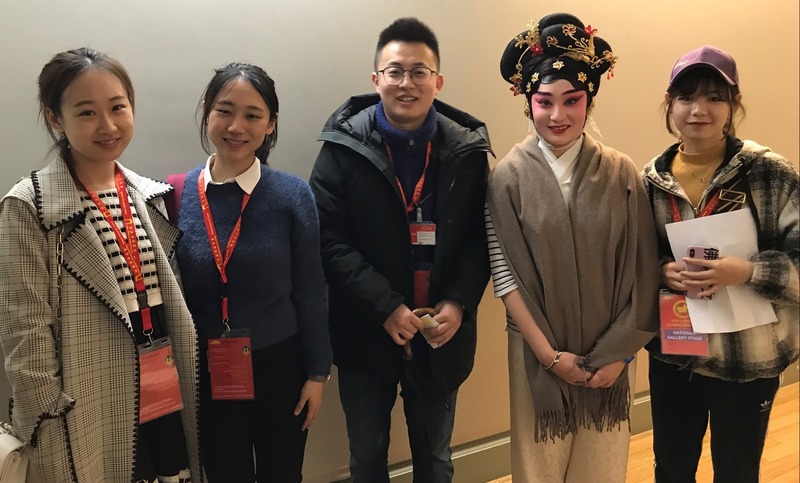 Juo Chee, an international student from Malaysia, volunteered at the main stage in Trafalgar Square last year, and came to organisers very early in the process of planning 2019's festival to express an interest in taking part. Chinese New Year organisers London Chinatown Chinese Association picked her as overall volunteer co-ordinator, a role they introduced about four years ago. "Juo Chee has really used what she's learned from uni and applied it" says Deputy Festival Director Joseph Wu, a community leader and radio journalist. "It's one of our best years for recruitment quality. She's added a lot to that. She's gone through the whole event in minute detail, looked at [each] given role, looked at human resources, come up with a job description of all the volunteers and worked out a very extensive plan of operation on the day. "With her focused approach, the fit of the volunteer with the role is much better. "She is a very active listener. She gives all information in very clear detail." "Juo Chee has done an amazing job and can be very proud of her work" says MDX Senior Lecturer Julia Haferkorn, a professional events producer who leads the third year Major Project module for the Music Business and Arts Management BA. "The role is a fantastic opportunity to work on the second biggest event in Central London, supported by the GLA and the Mayor. She will be writing about and reflecting on the event and her role as part of the assessed course work". Julia has been Artistic Director of London's Chinese New Year celebrations since 2015. MDX's other involvement this year came in the form of students from at least seven different courses volunteering across five sites, and MA Arts Management students organising a volunteer recruitment event on campus last autumn. 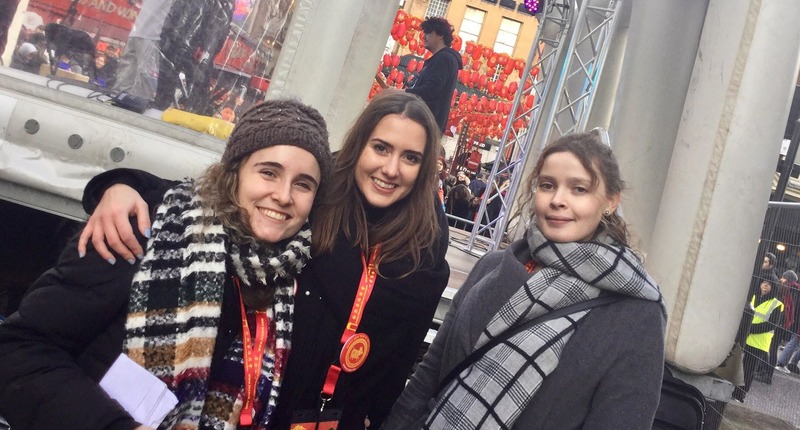 "It was a really good team building exercise, a really good confidence builder" said Rupert Tookey, one of the Master's students working on the recruitment task who was a volunteer himself in Charing Cross Road on the day. "It took a lot of time, people were very busy. It was like - how are we going to get this done in just five weeks? Don't think too much, get on with it. I really enjoyed that, even though there were frustrations to it, it was really nice to learn by doing for me." 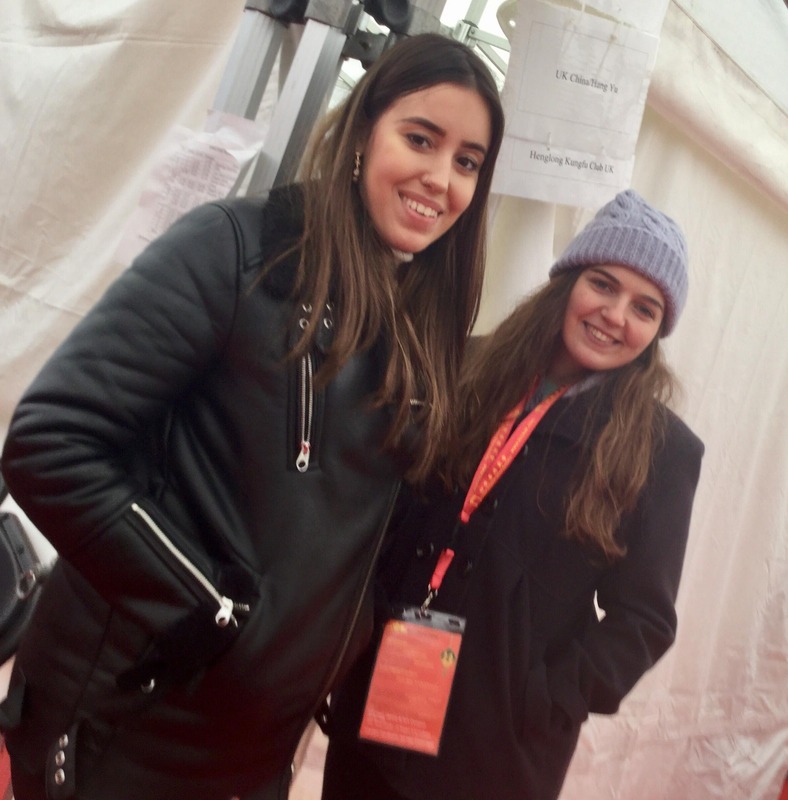 Ana Silva, a second year Music Business and Arts Management student assisting with artist liaison said in a rare free moment backstage at Trafalgar Square: "It's super busy but it's great - perfect to have the experience".